Take autoroute A13 in the direction of Rouen. Exit at Gaillon and follow in the direction of Les Andelys. Take national-road N14 in the direction of Paris. Exit after Grainville in the direction of Les Andelys. Take autoroute A13 in the direction of Paris. Exit at Gaillon and follow in the direction of Les Andelys. 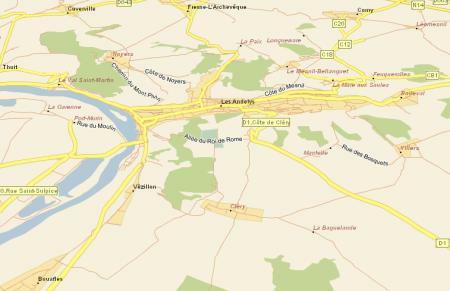 The nearest SNCF train stations are Vernon and Gaillon Aubevoye, both situated on the Paris-Rouen line. © Photos & Texts A. Cauderlier webmaster in Giverny France area.